In Part 2, we started looking more deeply into the fascinating points made in the Defense Opposition to the PLAINTIFFS Motion for Partial Summary Judgment. In Part 1, we had looked into the Plaintiffs Opposition to the DEFENSE Motion for Summary Judgment. Both documents are 20 pages long and intelligently written. However, there’s a lot more to cover in the defense brief, so I had to split that portion into two parts in order to cover everything properly. This isn’t to say one side or the other made better arguments–only that there’s more to go over with the defense. We have two potential locations we are negotiating for to serve as our sound stage in Valencia, CA, just north of LA. This will be the permanent home of Axanar Productions and allow us to do more than just Axanar, from other adventures in the Star Trek universe and beyond. David Gerrold (author of “The Trouble with Tribbles”) is already lined up to shoot his sci-fi series “Running Dark” here. Of course, the plan was for those other productions to pay for the rental of the space, suggesting a “for profit” business built on the donations from fans wanting to see a Star Trek fan film. While other productions like Star Trek Continues and New Voyages had permanent sound stages of their own, their weren’t renting them out for money or profit. What Axanar was planning was new in the world of fan films…and apparently, CBS and Paramount didn’t like it one bit! As an initial matter, Plaintiffs have not provided any law to support their argument that anticipated future profits derived from the space leased, and equipment purchased, to produce an allegedly infringing product are sufficient to show profit from an allegedly infringing product. Indeed, such an argument defies logic. Future anticipated profits from a studio leased and built to create Defendants’ Works are not only incalculable, but completely irrelevant to a copyright infringement analysis. The undisputed facts show that Defendants did not make any profit from the free distribution of Defendants’ Works, and had and have no intention to do so in the future. True. No money coming from YouTube…not even those annoying video ads. So that leaves only the donor money filling up the bank account. But were those “profits” or something else? The resources obtained through Defendants’ use of crowdfunding platforms were used solely for production and costs associated with the Potential Fan Film, and were not, as Plaintiffs allege, profits. There is simply no evidence that Defendants stand to profit from Plaintiffs’ Works. Therefore, Defendants’ Works are non-commercial. So donor funds paid for a short film and a studio. Did either of those things make a profit? Prelude is obviously generating zero revenue. Ares Studios, right now is generating zero revenue. So there is no profit. Both entities are completely non-commercial at present. But let’s assume that someday the studio does make a profit. Don’t write me hate mail for saying this but: SO WHAT? At no point in the complaint are CBS and Paramount suing Alec Peters for building a studio. They are suing him for creating an allegedly infringing work: Axanar. This is a copyright infringement lawsuit, after all. A physical studio and sound stage is NOT, in and of itself, an infringing work. So even if Alec Peters ends up making a billion dollars from Ares Studios, if Prelude to Axanar charges nothing on YouTube and makes no money, then that is the only thing copyright law cares about. Since we’re on the subject of money, how about we look at the other big financial question: does Axanar represent “market harm” to CBS and Paramount? To illustrate their point, the plaintiffs present a copyright infringement lawsuit tried and won by Loeb & Loeb attorney Jonathan Zavin back in 1998: Paramount Pictures Corp. v. Carol Publishing Group. And get this: it was all about Star Trek, too! Déjà vu? Well, not quite. In that case, a book called The Joy of Trek argued for fair use and lost on all four elements. For two of those elements, it lost because it essentially retold the entire story of Star Trek without being original or transformative in any way. As I discussed in Part 2, Axanar could very reasonably be considered transformative and certainly does not use “all” of Star Trek. Here, there is no evidence whatsoever that Defendants’ Works, which were not sold to anyone, were serving as a “substitute” for Plaintiffs’ Works. In fact, Defendants continued to promote and consume all of Plaintiffs’ official works, and if anything, Defendants’ Works and other fan films increased the buzz and purchase of official merchandise. Unlike in Carol Publishing, Defendants made no statements whatsoever that their viewers would not need to see Plaintiffs’ Works, and instead, they continued to do so and encourage others to do so. All true…except for this one short quote from Alec Peters: “Why dump hundreds or thousands of dollars a year on 400 cable channels, when what you really want is a few good sci-fi shows?” However, he didn’t reference Axanar nor Star Trek specificallyin that statement. And to be honest, Alec Peters has always encouraged fans to support ALL Star Trek…from the J.J. Abrams rebooted films (which many fans detest) through classic Trek and on to fan films. He has never encouraged anyone to boycott any Trek property…not even Star Trek Beyond, which was being produced by one of the two studios suing him. And frankly, I don’t know of many fans planning to give up on Star Trek solely because of Axanar. Most fans I’ve heard from who are disillusioned with the franchise point the finger of blame squarely at CBS and Paramount. So again, we’ll see if the plaintiffs can get any traction from this argument. Personally, I doubt it. Okay, moving onto the next topic: what is a fan film and how did the studios’ previous lack of action against other fan productions affect Alec Peters’ state of mind? The plaintiffs have tried very hard in their filings to draw a line in the sand separating “fan films” (which are allowed and encouraged by the new guidelines) from the Axanar works. They’ve quoted Alec Peters’ own words multiple times describing Axanar as “a professional independent Star Trek production”…whatever that means. There has been no agreed to definition of what a “fan film” is in this case, as demonstrated by Plaintiffs’ own discovery responses, in which Plaintiffs object that the phrase “fan film” is ambiguous. Defendants believed that their works were fan films because they were created by fans and were given away for free. Plaintiffs’ ad hoc position that a “fan film” is now only an amateur pursuit without a professional look was never communicated to fans until the release of the “fan film guidelines” long after Plaintiffs filed this lawsuit. In any event, the fact that a work may be of a certain quality, or have a professional look, has no bearing on the copyright analysis in this case. Obviously, the plaintiffs will disagree, but there is another, much more important item to consider. If Alec Peters is found to have violated the studios’ copyright, was it willful or non–willful? In their Motion for Partial Summary Judgment, the plaintiffs want the judge to rule that it was willful. Period. Do not pass GO, and definitely pay $150,000 per violation. But if the infringement was non-willful, the penalty drops to as little as $200 per violation. That is a HUGE, potentially $8 million difference. And so the defense REALLY wants to fight back hard on this point. Plaintiffs argue that Defendants’ alleged infringement was “clearly willful” because Defendant Mr. Peters “had worked with CBS before”; had previously “reached out to CBS” to report infringing activity; and “is a trained attorney.” However, the question of Mr. Peters’ willfulness presents many triable issues of fact. For instance, Mr. Peters relied on the longstanding fan film tradition in creating Defendants’ Works. Mr. Peters also understood from his volunteer relationship with Plaintiff CBS and his extensive communications seeking guidance on his projects, that as long as Defendants’ Works stayed “non- commercial”—which he believed they had because he was not charging anyone to view them—Plaintiffs would tolerate Defendants’ Works like the rest of the fan fiction celebrating their love for Star Trek. Remember that this lawsuit was filed BEFORE the guidelines back when most fan films assumed that as long as you didn’t charge for viewing your fan film and didn’t make any “profit” (and remember that we just discussed profit), that the studios were okay with fan films. Even assuming there was an agreed-to definition of a “fan film” (which is belied by Plaintiffs’ own objections to that phrase in discovery as vague and ambiguous), there is at the very least a factual dispute about whether Defendants’ Works qualified. Indeed, there is no dispute that Mr. Peters is a huge Star Trek fan, that Axanar Productions was created by huge Star Trek fans, and that Prelude was distributed for free, as Axanar would have been. The fact that Mr. Peters had reported infringing activity to CBS in the past, in response to which CBS took no action, only furthered Mr. Peters’ belief that he was acting within the realm of tolerated activity. I said that here, too!! Seriously, Erin Ranahan’s gotta be reading my blog! His legal training from law school decades ago does not mean that Mr. Peters had extensive understanding of complex copyright issues. If anything, his legal training furthered his understanding that using more obscure characters and infusing originality would weigh against infringement or in favor of fair use. So I don’t expect the judge to issue a pre-trial ruling that Alec Peters willfully infringed. But as a reminder, folks, I am not a lawyer and I am certainly not a judge. The Court orders that Defendants, their agents, servants, employees, attorneys, successors, assigns, subsidiaries, and all persons, firms, and corporations acting in concert with them, are hereby restrained and enjoined from directly or indirectly infringing the copyrights in the Star Trek Copyrighted Works, including but not limited to continuing to distribute, market, advertise, promote, produce, sell, or offer for sale the Axanar Works or any works derived or copied from the Star Trek Copyrighted Works, and from participating or assisting in any such activity. Plaintiffs’ proposed injunctive relief is vague inasmuch as it does not specify the types of acts from which Defendants’ would be enjoined. 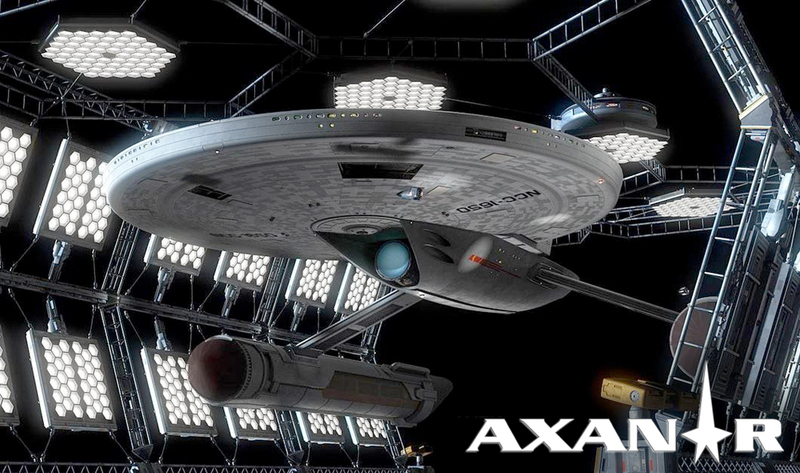 Plaintiffs’ demand to enjoin Defendants from “promoting” and “marketing” the Axanar Works could be interpreted as prohibiting Defendants from talking about the Axanar Works in the future, such as at conventions or in connection with newsworthy content, which would amount to an unconstitutional restraint on Defendants’ free speech. Plaintiffs’ proposed injunction also does not even define what their “Star Trek Copyrighted Works” are for purposes of the injunction. It also purports to extend to numerous individuals not subject to this lawsuit. It broadly seeks to restrict all of Defendants’ Works, even a script that Defendants have no intention of proceeding with. The broad injunction Plaintiffs seek would potentially prohibit Defendants from the distribution of works that do not constitute copyright infringement, and further do not specify what elements of the script are prohibited. Plaintiffs cannot prohibit Defendants from undertaking any Star Trek fan film project no matter what the content, style (such as if it is a mockumentary or another form of parody or originality). Plaintiffs cannot prohibit Defendants from proceeding with a future project that qualifies as fair use, and yet this is precisely what Plaintiffs’ injunction intends to do. Plaintiffs also claim that they will suffer irreparable harm because Star Trek fans will view the Axanar Works instead of paying to watch the Star Trek Copyrighted Works. However, Plaintiffs are unable to show even a single shred of evidence supporting their contention that any consumer is paying for Axanar Works in lieu of the Start Trek Copyrighted Works. Absent any such evidence of irreparable harm, Plaintiffs’ allegation is merely a theory, insufficient to support its demand for injunctive relief. 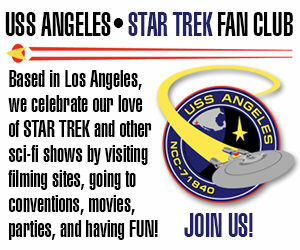 I still maintain that it’s a tremendous stretch to assume that just because I donated to Axanar that I suddenly didn’t buy a ticket to see Star Trek Beyond (I four four), pay 500 bucks for a Creation Las Vegas Con pass, or order the Ships of the Line calendars the past three years (plus all those Hallmark ornaments!). And I’m happy to testify to that on the stand…which could happen. Prelude has been available on YouTube since 2014, and still is today. Plaintiffs had the option—but declined—to submit a takedown notice with respect to Preclude or The Vulcan Scene shows that Plaintiffs do not believe that these works are likely to cause them irreparable harm. Bingo. It’s gonna be tough to convince the judge the studios face such imminent financial peril if they weren’t even concerned enough to make a five-minute call to YouTube. Further, the public interest of would not be served by the permanent injunction requested by Plaintiffs inasmuch as such a restraint on free speech cannot be in the public interest. Issuing an injunction that cuts off Defendants ability to ever create anything in the Star Trek universe without fear of additional legal action would send a chilling effect against not only Defendants, but countless creators who are operating within the confines of copyright law and fair use. Finally, Plaintiffs’ proposed injunction would essentially act as a “prior restraint” on Defendants’ speech, which is presumptively unconstitutional. And there you have it. A bit on the long side, so my apologies and appreciation for sticking with this blog posting to the very end. What boggles the mind is that the Plaintiffs surely must be able to address the flaws in their case (like the unnecessarily vague and broad claims of infringement–surely they can pick a few specific, concrete examples they could indisputably demonstrate), but inexplicably have chosen not to. Almost makes me wonder if they aren’t trying to “John Carter” themselves on Star Trek for some secret business deal in the making? Basically, it’s a strategy that allows you to force the defendants to settle on the remainder of the case with minimal legal expense, and I imagine CBS and Paramount want this case over fast in a way that makes them look like winners, (ending the potentially harmful publicity about the case) so it actually makes a lot of sense to go at things so aggressively and try to get points on the board with even a partial ruling that some of the IP violations were willful at this early stage given that the intimidation factor of the lawsuit hasn’t convinced Alec to settle yet, and they might have been relying on forcing him to settle for their legal strategy. I think a lot of that is spot on, Matthew. And I think that’s a major reason why the defense brought up the case-law admonition to judges that questions of state of mind cannot be determined or adjudicated at the summary judgment phase. The plaintiffs are swinging for the bleachers. They might hit a home run. But there’s a lot of other things that could happen, too. Oh yeah first comment. Thanks for keeping us up to date on this exciting drama. Why the attitude, Jonathan? The plaintiffs have nothing significant to gain even by winning the case, so their motives certainly invite questioning. It’s no secret Paramount is being shopped around for a buyer, and the pay-model for Discovery has had a lukewarm reception at best. It’s not unreasonable to explore the possibility that CBS may be looking to pull a Lucas and sell off Trek itself to a flush buyer, like what happened with Star Wars. By deliberately driving the market down, it stimulates a bidding war over an apparently-underutilized commodity, driving the final price up. If CBS can get, say, Fox and Sony to start competing over who can grab Trek from them, the final deal could be worth even more than if Trek was flying high. Sorry if I seem to be having an attitude, Reece; that’s not my intention. It just doesn’t seem to make much business sense. Disney bought Lucasfilm for a very specific reason: they wanted to own boys. (Oh, man, that did NOT come out right!) For many, many years, Disney owned the lives of young girls with princesses from Snow White and Cinderella to Ariel and Belle. And when they needed ethnic princesses to widen their market, in walked (rode) Mulan, Jasmine, Pocahontas, and what’s-er-name from that “Princess and the Frog” movie in a New Orleans setting. Girls were pretty much covered from birth to about 8-years-old. But Disney didn’t have boys. They used to. Davey Crocket, swashbuckling pirates, that kid from “Ol’ Yeller” and that other one from “Pete’s Dragon,” and of course, Mickey, Donald, and Goofy are the male cartoons. But when you think of Disney movies–not as many memorable role models for boys. Mowgli maybe. Then I gotta jump to Simba, and he’s just a lion…or Lightning McQueen, and he’s got wheels and an engine. And Disney’s sci-fi offerings aren’t exactly kid-friendly…that Maximilian robot from “The Black Hole” was scary! So Disney bought Marvel and Star Wars. Now my son’s entire existence for the next 7-10 years is conveniently controlled by a single media giant. And honestly, they’re doing awesome work with it. Every trip we take to Disneyland is filled with stuff tailor made for my child. And that explains Disney’s purchase of Lucasfilm. It had nothing to do with the under-utilization of the franchise, and there was never really any bidding war for Star Wars. Disney wanted it because it expanded their business model, and they got it. I just don’t think Star Trek has that same kind of value. Not quite–deliberately tanking Trek only boosts the final purchase price if TWO or more parties are interested in buying it. Seems counterintuitive, but it works. If you have a perfectly-kept 1964 Mustang you want to sell, you won’t get many bids if your opening ask is $50,000. But if you have a barn-find 64 Mustang that’s identical except it’s covered in dust, and a collector could easily restore it with a car wash, you’ll get a ton of interested buyers if your opening ask is $500. Sure, you may not get $50,000, but you weren’t going to get that anyway. Having two parties bid on an under-valued item raises the final price, because each party sees value beyond what the “dumb seller” can. Any good studio could do a better job than “ten years of nothing”, and the media buzz over a new owner would only help the buyer. So, it helps the seller get the maximum dollar, and the buyer get a return on his investment. Good analogy except by the point the BBC fired Clarkson it was a strike 3 and your gone issue seeming he had more than enough warnings over various outbursts and his behaviour. I doubt they expected the others to follow him, but thats loyalty for you (kinda like TOS’ big three… plus a producer). I doubt Amazon of Netflix would have bought the Top Gear format as is, nor do I think the BBC would want to sell it (its not what they do) and it could be argued neither would the fans of the show… Something new is good, and breaking from both the BBC and the original show lets them do what they want how they want it. As a long time Top Gear viewer I was excited about something new. I don’t think the problem with the last Top Gear was Matt LeBlanc, it was Chris Evans, hes gone now so we can only guess what the next series may be like (and until then we can enjoy the Grand Tour). I kind of liked the robot in The Black Hole; it was the theme music that was scary, but the good kind of scary… Kind of like the name of Mufasa was for the hyenas in that scene in the Lion King when they are talking about it giving them chills (A – “Mufasa!”; B – “Do it again!”; A – “Mufasa!”; B – ). I may be mistaken (not a lawyer), but wouldn’t this effectively prohibit ANYONE from ever creating a fan film in the Star Trek universe? Even if someone were to follow their non-binding, non-legal “guidelines”, they would effectively be prohibited from actually creating anything. And how is that not an overreach and gross violation of the right to free speech? Clarification, please. As I and the defense team said, it’s overly and unnecessarily broad. In theory it should just mean persons who directly worked on Axanar, but in a broader sense you could link in the donors and even anyone who has simply “liked” one of the Facebook groups. I think if that was granted it would have to be defined better. I can follow the defense logic just fine. I agree with the defense “defies logic” and the arguments about the plaintiff’s attempts at Humpty-Dumpty like definition of words to mean something other than what they mean. I guess I don’t have a legal mind because calling an aardvark a rhino, to stretch the “profit” item just a tiny amount, seems stupid and crazy to me. We’ll see if “common sense” has any bearing to the Axanar case. I hope this case makes it on to a re-boot LA LAW series! It would be gripping from end to end. Great work Jonathan! I think I must have missed the Kharn thing! This stuff has been fascinating reading. Now, I just have to figure out how to add Reading Axanar Lawsuit for 1 hour to my timesheet at work! Current events research into the entertainment, technological, and legal sectors. I am now impacting productivity in America. If the GDP report comes in below estimates next month, the Axanar detractors are totally gonna blame me and my long-winded blogs!!! but countless creators who are ALSO operating within the confines of copyright law and fair use. Man, my funny bone must be on high alert! Between “Disney owns my child for the next 7-10 years, to Man, my brain hurts” and others comments, I chuckled thru the whole comments section. Thanks ya all. But seriously, the funniest thing is the plaintiffs case! It’s the real joke! I’ve rolled my eye, and shook my head until I HAVE a headache, trying to see how they come out of this, without their tail between their legs. First of all, THANK YOU for explaining this situation so incredibly well! I do have a question, re: the willful/unwillful aspect. It seems to me, by creating an original story based on a minor character, by incorporating original ships, original costumes, original additional characters, etc., and by meeting with P/CBS folks to be sure they were OK with things, that it’s clear that Alec was bending over backward to AVOID problems with copyright infringement. Is this not be a consideration? Absolutely. It goes to the question of Alec’s mindset. Did he think the studios were okay with fan films? Over a hundred fan films covering 250 hours were produced and released over nearly five decades. Not a one was ever challenged or taken down by the studio. It’s true that copyright holders aren’t required to enforce their rights constantly like trademark owners are, but this isn’t about the studios. It’s about Alec and what he was led to believe. If he believed, reasonably and sincerely, that he wasn’t doing anything wrong in the eyes of the copyright holders (and they gave him no reason to believe otherwise by saying something like, um, “Stop” or “Please don’t do this”) then his infringement could be considered non-willful (or innocent) and carry a measly $200 penalty per violation. On the other hand, if the judge or jury finds that the infringement was willful, then the penalty goes up to $150,000 per violation. So yes, it’s a VERY important point to consider. I know Starbase Studios let people use their set for free, but I remember the others want some sort of fee to use the studio, from discussion about Captain Pike. Starbase Studios charges for utilities while you use it, but that’s only like $50/day. Actually, legal procedure requires the party requesting summary judgment to write out exactly what they want the judge to say and how they want him/her to say it. Judge Klausner won’t be annoyed by the audacity since the law requires it. That said, what the plaintiffs’ attorneys actually wrote out for him is extremely broad and overreaching, and one wonders if Judge Klausner would want to affix his name to something so restrictive to the free speech of so many. Great point about the Axanar donors! So it looks like Winston & Strawn have 14,000 or so new clients to defend…including me! My right to free speech could be taken away by CBS and Paramount!!! Wow! And I thought my only dog in this fight was Axanar. Now my donor status makes me a potential defendant. 2016 just keeps getting better. Keep up the good work Jonathan. Jonathan posts a screen shot in an article on Fan Film Factor. His screen shot shows a post from CBS/P v Axanar in which someone there had posted a screen shot from Fan Film Factor. Thus we would have a post of a screen shot of a post of a screen shot of a post. Would Warner Bros. Pictures then sue FFF or CBS/P v Axanar for copyright infringement of the plot from the film Inception? I kid, I kid. However, I for one would love to see the legal drama “Battle for Axanar” documentary told Inception heist-style, where Alec plays Garth of Izar and Jonathan plays Ambassador Soval, both of whom have to go into the subconscious of Gene Roddenberry while fighting off the dream projections of Paramount/CBS (played no doubt by Ferengi) and a host of internet trolls (who speak like Tellarites). But I digress. It’s a three-year lease with a little over a year left. The lease is signed by Alec Peters, not Axanar, and Alec cannot break the lease early. Can’t you just shoot Running Dark and rent space for axanar ? Mr Lane, thank you so much for taking the time to explain in an entertaining and informative way the extremely complex issues involved in this case. Mr. Edwards, thank YOU for reading! Jonathan, it will be interesting to see how the plantiffs will answer that last part of the defense rebuttal. They may crash into a constitutional wall, not to mention possibly doing a face plant into a pie of poo like Biff Tanner did in Back to the Future 2, I believe it was. Talk about having rotten eggs on your face!!!!!! I’m curious about that, as well. I expect to see something along the lines of, “The defense claim that the requested injunction somehow violates the first amendment is quite obviously ridiculous, as there is no constitutional right to infringe on a valid copyright.” Or something like that. We’ll see. Next Next post: STARFLEET STUDIOS cancels THE TNG PROJECT but revs up for VOYAGER CONTINUES!